Tuesdays after the 12:05 PM Mass with veneration of the relic of St. Anthony. Second Fridays of the Month after the 12:05 PM Mass in St. Anne’s Chapel. 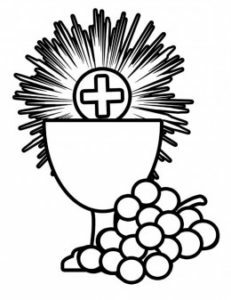 If you haven’t received your First Communion (Eucharist) and/or Confirmation your preparation will be completed through the year-long Rite of Christian Initiation of Adults (RCIA) process as required by the Diocese of Phoenix. Free parking is available for parishioners and visitors attending Mass and sponsored events at St. Mary’s Basilica. Our parking garage is located on 5th Street between Van Buren Street and Monroe Street.